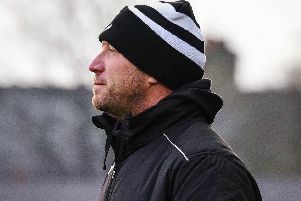 Chorley were left frustrated by Leyland’s stubborn tail as they had to settle for a winning draw in their derby clash. The hosts opened the batting at their Windsor Park base and declared on 267-8 after 46 overs. That commanding total owed largely to a fine knock of 134 by overseas amateur Wian Van Zyl who continued his fine start to the campaign. Leyland eventually found a way to fell the Chorley opener as Will Jacques sent him back to the pavilion. Useful knocks of 34 from Gayan Maneeshan, 23 from Harry Barclay and 36 from skipper Andy Holdsworth supported the South African’s century with Holdsworth declaring and setting the visitors a target of 268 to win. Leyland’s lost opener Jake Peake for seven but overseas pro Umar Waheed, 62, joined Tom Reece, 28, at the crease to steady the ship. The wickets did fall but James Rounding’s stubborn 44 helped Leyland over the line as he finished unbeaten, with number nine Alex Williams, 4, also frustrating Chorley as the visitors finished on a tally of 186-7. While that Northern Premier League clash was a frustrating climax, their Lancashire Cricket League Cup game at Clitheroe was a thriller as Chorley just edged through to the next stage. Chorley posted 230-5 batting first with Edwin Moulton’s 86 not out aided by Stuart Naden’s 41, Will Moulton’s 38 and Andrew Holdsworth’s 35. Clitheroe took them to the wire, needing six to win off the final four balls. The hosts managed to get five and tie the game but due to Chorley losing fewer wickets they proceeded to the next round and a clash with Eccleston now awaits. Leyland’s first team also joined Chorley in the next stage of the Lancashire knockout, bouncing back from that losing draw to Chorley to beat in-form Fleetwood. Fleetwood made 206-4 batting first with Jeremy Davies’ 45 and Adam Sharrocks’ 81 not out anchoring that innings. Despite losing opener Peake for another low score of five, Leyland’s Ian Farrington (88) and pro Waheed (62 not out) gave them the platform to chase. Waheed was joined at the crease by Kurtis Watson, six not out, who helped them over the line with a score of 210-4. Chorley’s second XI beat Leyland seconds by six wickets. Leyland posted 150-6 batting first with Thomas Murray top scoring with 38. Though 53 not out from Alexander Howarth and an unbeaten 26 from Andy Flear saw Chorley ease to 151-4. Chorley’s third team lost by three wickets to Withnell Fold seconds. Chorley posted 172-9 batting first with Matthew Ragsdale top scoring with 53. But an unbeaten 60 from Stephen Mayers helped Withnell to 173-7 as they surpassed the total. Leyland’s third XI lost by seven wickets at Fulwood and Broughton’s third team. Leyland’s fourth team lost by 77 runs to Wrea Green seconds.